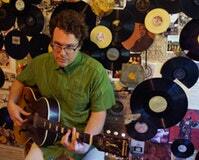 Experimental music is a tag put on many bands that have voracity and curiosity as the main drivers of their passion. Mostly, this label is used where no other will apply. All the music made that has no clear fitting under any genre or style is named “Experimental”. Under such iconoclastic endeavor, Climax Golden Twins – read more about us here – lean heavily on non-traditional instruments and the non-traditional use of traditional instruments. But hey, what does experimental really mean? It means trying things that have never been done before to achieve an imaginary sound no one has ever heard before (other than experimenters in their heads). That is a bold step into an unknown direction that has (most of the times) nothing to do with selling records, but is needed for music to evolve. This stoic effort should not be forgotten, and it´s their fans (us) who have to keep their legacy alive. Their heroic crusade to broaden horizons and face established boundaries of music making weren’t in vain if this blog can open the minds and ears of some out there. The band´s unique sound and approach can be an exciting challenge for those who are willing to step out of their comfort zone and face the unknown. Make no mistake – they are musicians who handle traditional instruments and make recordings in studios, but add to that some weird space noises, and otherworldly textures that transform a song into an entity in every trip. 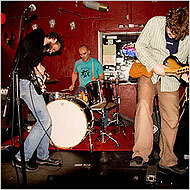 The Lo-fi collages and the accompanying hiss in most of their recordings are a choice by all means. These talented musicians focus as much on what they can draw out of every bit of music they come across as what can they add to it. Live performances are often seen as a wild journey and are never alike from each other. The best way to put it is to say that these musicians favor interpretation and improvisation over static structural premises. Every show can be a brand new different experience. You might encounter mellow acoustic guitar-driven songs with vocals, and a slide or the roaring sound of an electrifying trio playing loud and proud distorted noise. Some other times, you might find a no-drummer setup with a duo of electric guitars, sampled sounds and a minimalistic ambient approach. In all its forms, it´s an experience you´ll remember and will aim to make you defy all your ideas about what music should be and what it should not. 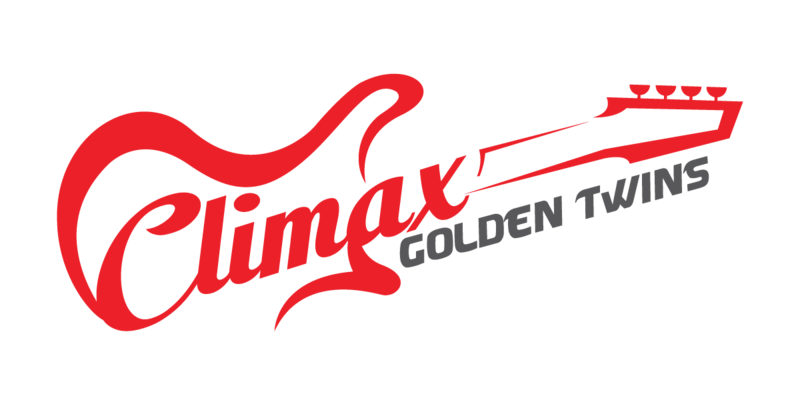 Climax Golden Twins is not just entertainment. They will expose you to a new, different world, and show you a way of expanding your musical appreciation through a different creative process. The collage technique is something these talented musicians have been working on for years. The ability to find space in their music and the recordings to match each other, as well as the instrumentally multi-layered sonic adventure is a ground-breaking innovation in itself. 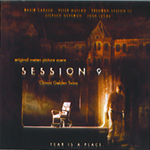 They have done several soundtracks including the widely acclaimed 2001 Session 9, a masterpiece of suspense over a dark atmosphere of minimalism and sudden breaks of noisy waves that will generate the same fear and attention that the film does. I highly recommend listening to it without any distractions – and put on your headphones if at all possible. With a great sense of humor, positive energy and the willingness to satirize the world, laughing even about themselves, Golden Climax Twins have amassed a great collection of recordings and left a great legacy of boldness for generations to come. They have chosen the difficult path of taking their music some steps into the future, not basing their work ethic around money but mostly on a brave struggle to follow their instincts. They are not golden, nor twins, nor even a duo at times. But they sure are very talented musicians whose work and dedication should not be forgotten.